This program is full. We have had an overwhelming response to the upcoming Parenting Program, “How to Talk So Little Kids will listen”. Due to high demand, unfortunately we are not able to accommodate everyone. We will be checking names against the registered list. We apologize for the inconvenience. 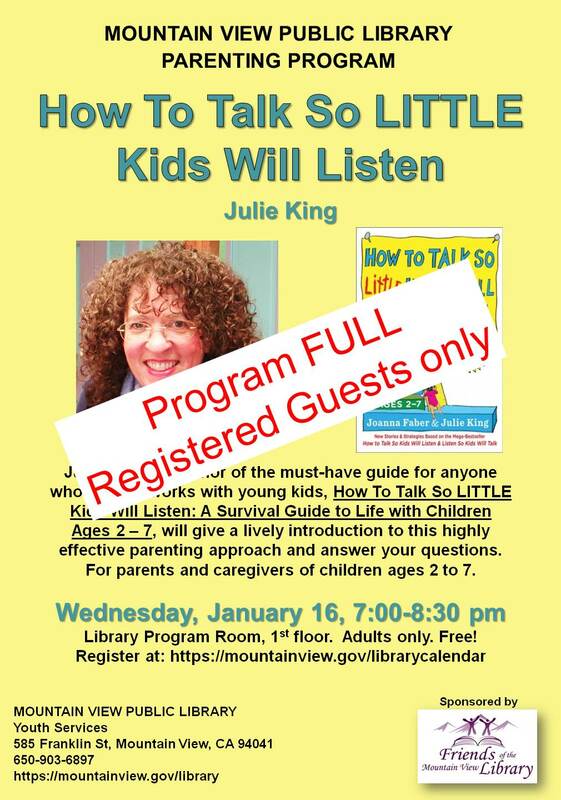 Julie King, co-author of the must-have guide for anyone who lives or works with young kids, How To Talk So LITTLE Kids Will Listen: A Survival Guide to Life with Children Ages 2 – 7, will give a lively introduction to this highly effective parenting approach and answer your questions. REGISTERED guests only.